Reflexology is safe for babies and children. It can support their health and wellbeing in a number of ways from sleeping problems, digestive discomforts and common childhood ailments such as asthma and eczema. Being so relaxing, reflexology calms the child and allows their body to restore balance. Baby Reflex is a form of reflexology designed especially for babies from 4 weeks to 10 months old. By learning simple, gentle, stroking techniques you’ll be able to calm and soothe your baby. Wonderfully relaxing as part of your baby’s bedtime routine or can be used when you’re out and about. Baby Reflex was developed by Jenny Lee, a Chartered Physiotherapist and qualified Reflexologist, following 15 years' extensive research into the effects of regular reflexology on childhood asthma. 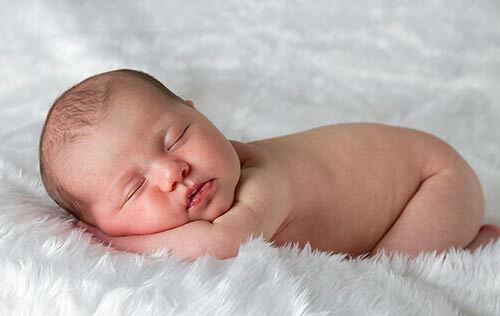 The main benefits of relaxation, improved sleep and bonding encouraged Jenny to create Baby Reflex in 2005. Baby Reflex techniques will help to settle your baby, improve their wellbeing and the hands-on touch will promote bonding, so important for early development. Classes are run on an individual basis or in small groups of up to 6 adults with their babies. They are suitable for babies from 4 weeks to 10 months old. The private, one-to-one class lasts 1 hour, covers all the techniques and can be held at your home or Down to Earth Reflexology. Individual class is £28 for the hour. Group classes are £25 each for the three weeks with a discount of £20 for the host. Reflexology can support a wide range of childhood conditions and also bring relief from the stress of modern life. Reflexology is suitable for children of all ages and treatments are tailored according to their age and needs. 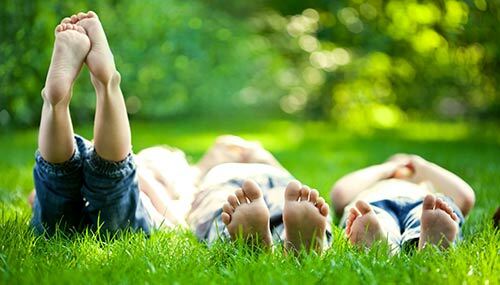 Child reflexology can help ease digestive problems, support learning difficulties, ease respiratory conditions and just help children to cope through periods of anxiety during the journey from infant to adult. Treatment times vary according to the age of the child and treatments are frequently undertaken at the child’s home, with a parent present throughout. Please contact Lindsay for more information. Baby Reflex is fuss-free reflexology that can be used anytime, anywhere, helping to soothe your baby at the café, bus stop or supermarket queue. Sign up to receive our latest offers and news. 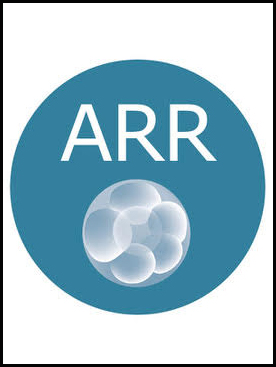 Down to Earth Reflexology is a member of the Association of Reflexologists and the Association of Reproductive Reflexologists. © Down to Earth Reflexology 2017. All Rights Reserved.